Our new 3D brow sculpting technique will create fullness and definition that cannot be achieved with regular eyebrow grooming and is a great non-invasive alternative to permanent make up. The look is tailor-made for each client, with colour choices to suit all skin and hair colours and is particularly good for clients who suffer from partial or complete eyebrow loss. The treatment is waterproof and smudge proof and lasts approx 2 – 3 weeks. 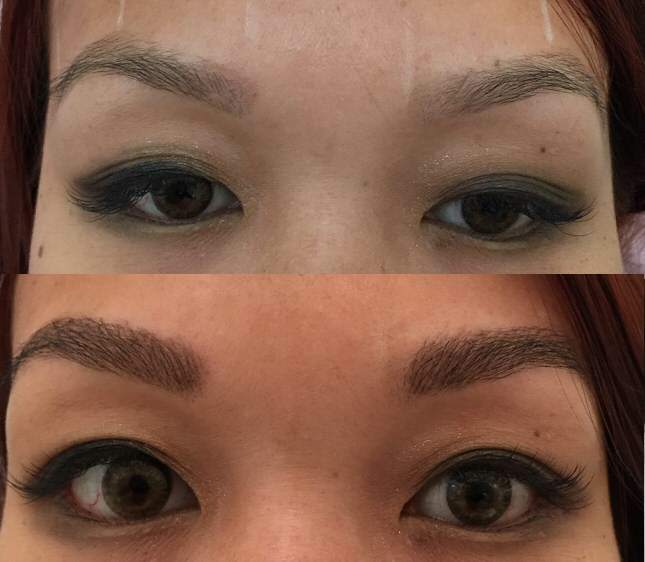 This treatment is also available for clients with a small amount of eyebrow loss to help thicken the eyebrows which is usually at the bulb and/or tail area of the brow. You may also want to combine with a shape and tidy. This really is a fantastic treatment that gives a very natural look to the eyebrows and is particularly great at saving time in the morning. The best type of treatment for you will be discussed when you come for a consultation and patch test.